Louise Anne Lenihan, a passionate skier and ski industry executive, died peacefully on Sunday October 14, 2012 at her home in Kirkland Washington after a long battle with cancer. She was 75. Lou was born and raised in Corvallis, OR, where her father, Henry Hartman, was Professor and Chair of the Department of Horticulture at Oregon State University. She received a Bachelor of Science degree from Portland State University in 1960. Her first marriage was to Melvin Johnson, an engineer employed by ALCOA. They initially resided in Vancouver, WA, later moving to Wenatchee, WA, then to Geelong, Australia, and ultimately returning to Wenatchee. Louise married William (Bill) F. Lenihan in 1979 after moving to Seattle, Washington. Lou worked in the ski industry for much of her life. She was an instructor and supervisor with the Mission Ridge Ski School, and served as the director of the Mt Spokane Ski School for two years. 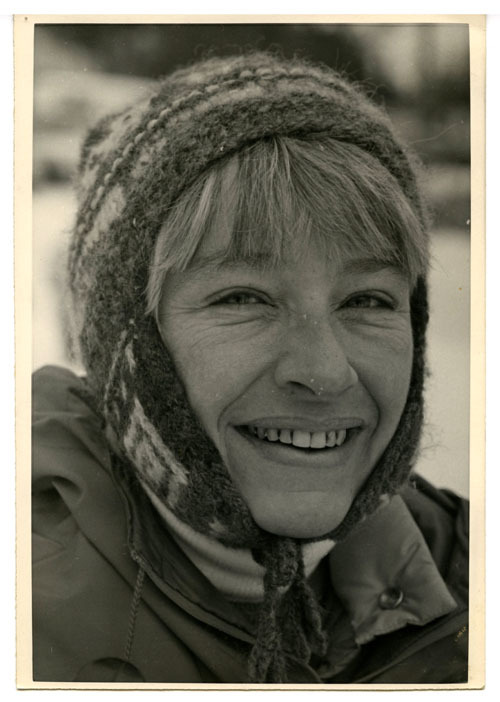 In 1977 she moved to Seattle, where she became the assistant director and then director of the Snoqualmie Summit Ski School. Later she became part of the Snoqualmie management team, advancing to general manager at the Summit, and then vice president of its managing company, Ski Lifts, Inc. She was a gifted manager and mentor who was always able to help her coworkers, employees and family members achieve their best. Throughout her ski career, Lou was active in several professional and trade organizations, including Professional Ski Instructors of America (PSIA), PSIA-NW, and the National Ski Area Operators Association. She served as a director and president of PSIA-NW, and as vice president and director of PSIA. Lou and Bill met through their involvement in these organizations and in other ski related activities. Skiing, ski instruction, alpine racing and coaching, and ski area management have been major components of their combined family’s activities for more than 30 years. Lou was a chef extraordinaire and a master seamstress, knitter, and photographer. She naturally possessed the skills of an expert interior decorator and her home was filled with bold and bright artwork lovingly arranged. Lou was blessed with a green thumb and every plant, shrub and tree she encountered grew and prospered. Lou brought two Siamese cats into her marriage with Bill, readily converting him to a cat lover. Their current beloved cats are two extraordinary Egyptian Maus, Calvin and Hobbes, who have trained their masters well and allow them to share their home with them. Lou is survived by her beloved husband of 33 years, Bill; their children, Greg Johnson (Susan), Kit Pogliano (Joe), Colleen Larsen (Peter), Brian Lenihan (Lisa), Kelly Lenihan, Terry Lenihan (Sue) and Brendan Lenihan (Gerry); their grandchildren Nicolas Pogliano, Sofia Pogliano, Kristina Cain, Jesse Lenihan, Ryan Lenihan, Jessica Lenihan, Nicolas Lenihan, Christopher Douglas and Duncan Stiller; their great grandchild, Garrett Lenihan; and their cherished cats, Calvin and Hobbes. She will be greatly missed. In lieu of flowers, the family would be grateful for memorial contributions to the King County Humane Society or the American Cancer Society. A celebration of Lou’s life will be held in the Timber Wolf Pub at the Summit at Snoqualmie West Ski Area on November 3, 2012 starting at 1:30pm.